When the people think about woodwork, the first machine that pops up into their mind is the Table Saw. If you are skilled workmen, then you know that you need the Best Table Saw for your woodshop. It is the most versatile and common machine that every woodshop must own. To attain the precision and accuracy in your woodwork, every professional needs a tool that would allow them to get the perfect quality in their work. As there are a different table saw available for different kind of uses and requirements, you can choose the one which fits your needs. You can choose from the list of Portable Saw, Cabinet Saw, Contractor Saw, Mini and Micro Saw, Benchtop Saw, and the most important Hybrid Saw. It provides a complete storage box which can be used to store other tools and equipment used along with the Makita 2705. 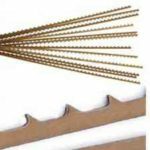 The accessories that can be stored include the saw blade, miter gauge, rip fence, wrench, dado blade and others. The blade of the saw is enclosed underneath the table so that the blade won’t get harmed during transport. The Makita 2705 has two pole slide system which is used to raise and lower the blade to smoothly adjust the depth. 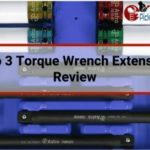 It comes with a 32T Carbide Tipped Blade and a number of other tools. The Makita 2705 comes with a 1-year warranty and provides complete refund and replacement of the product. The end results of the versatile cutting blade are of superior quality. The stand makes the Saw portable and compact to use. It is an ideal choice for the people who wish to fulfill their woodwork hobby. There are no ties in the storage area which means that tools and accessories will keep moving around the transit. The sturdy construction lets down the machine as it can create issues for precision cuts. It is vulnerable to dust and debris. 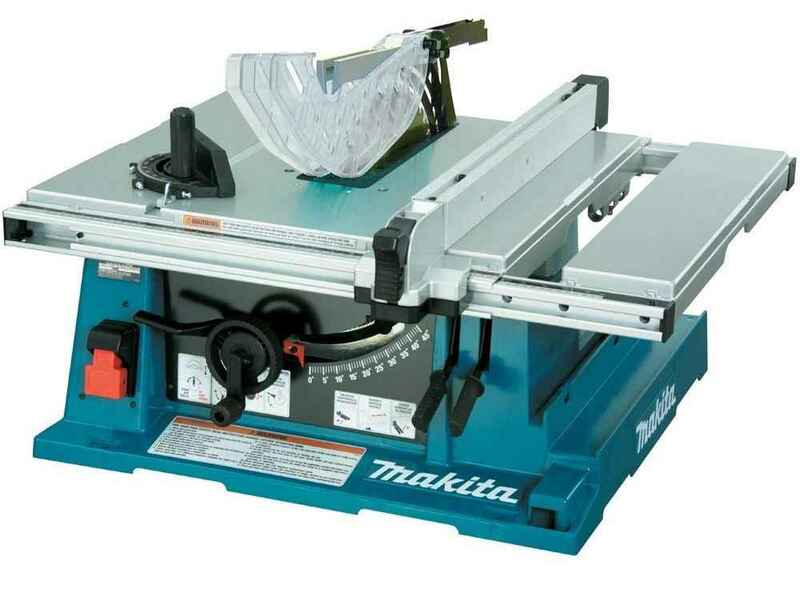 The new Tool-less Blade Guard System with 15 AMP Power makes the Makita 2705 more authentic table saw for homeowners. It offers more accuracy and more capacity with the flat table top that also accompany precision in the woodwork. The machine has a versatile design with a range of application and will be a good machine to have in your home. 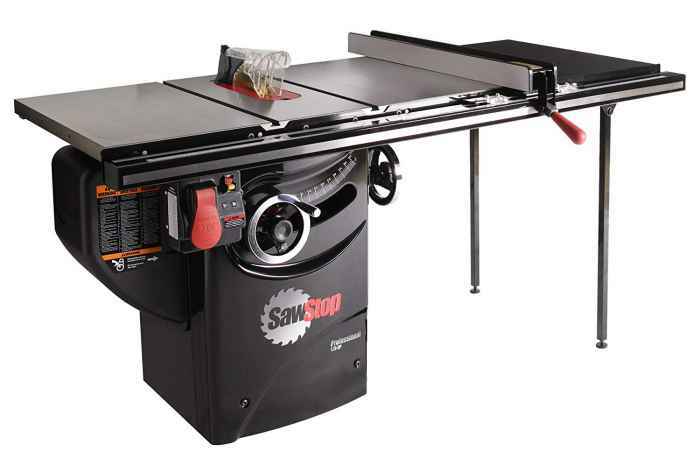 The SawStop PCS175-TGP236 is lying at the top of the list of Best Cabinet Table Saw. This table saw weighs around 470 pounds which makes it a firm machine and helps it to attain precision in the cutting and trimming of the wood. It consists of a 1.75 HP motor and works on the corded power source. The machine has a system that can detect if any finger comes close to the blade, the blades will auto cut to prevent damage. The added strength and rails and extension table makes it a better choice. This is the exact model which can satisfy the needs of the toughest experts and professionals. The SawStop PCS175-TGP236 provides an innovative safety system to prevent injuries. The designs include a 36 inches T-Glide fence and also provide secure lockdowns of the deviations. The body is fully enclosed to reduce the risk of an accident or injury. It has effective and precisely crafted measuring instruments. The SawStop PCS175-TGP236 is a high-quality machine with an impeccable design. The accuracy level of the machine is also great. It offers additional features to ensure the safety of the users. It comes with bare toolbox and table stand. The machine requires a typical assembly. It is not an ideal choice for the hobbyists. The risk of injuries is slightly greater than any other type of Table Saw. As the SawStop PCS175-TGP236 provides so many benefits to the users, it becomes the first choice for the big household projects. It maximizes the practicality, precision and the mobility of the Table Saw. It is comparatively safer saw due to its additional feature but still poses the risk of severe injuries. The versatile design helps in attaining the patented safety measures. 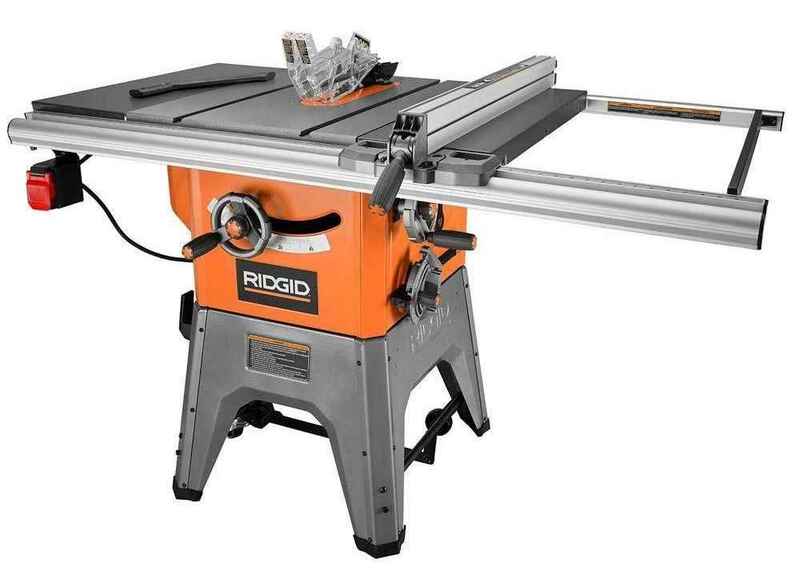 The RIDGID R4512 is rising up in the market as the Best Hybrid Table Saw. This is a machine with all the advantages and amazing features of the other types of Table saw eliminating the disadvantages. It has a firm support an ideal solution for the users who need a machine to withstand deadlines and stress simultaneously. It has a 30 Amp motor that delivers up to 3450 RPM speed. It is a 267 pounds machine that is powerful enough to handle big pieces of wood. It also includes bare tools in the instruments. Cast iron is used in the machine to minimize the vibrations and provide a flat and leveled surface for cutting operation. A blade guard is also provided to increase the safety measures of the table saw. The most notable feature is the wheeled base of the Table saw. The anti-kickback system is also included in the components of the RIDGID R4512. The RIDGID R4512 is an affordable machine which is also easy to use. The best advantage of the system is that it is portable. You can customize your table by adding extensions or auxiliary tables to it. The Front and Back clamping fence have extra large gliders to enable precise and smooth adjustments along the rails. The quality of wheels is subpar and can easily be damaged if mishandled. It is not that much spacious as it is expected to be. The RIDGID R4512 is a smart machine but also has some technical difficulties. The cutting ability of the machine is impeccable and can cut through without too much hassle. Most of the Hybrid table saw is heavy and immobile. But this particular Hybrid Table saw completely alters the conventional design and hence makes it top of the list. 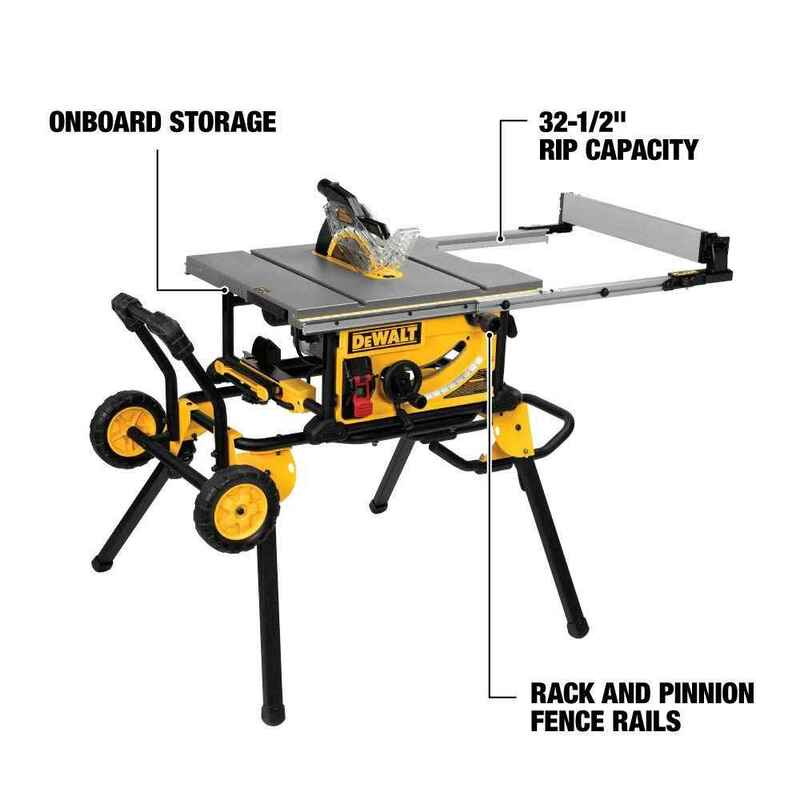 The DEWALT DW745 is the Best Portable Table Saw. It is a 22 kg weighing machine that has an optimized footprint which makes it the foremost choice among all other saws. 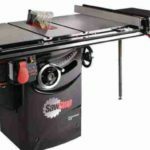 For every single person who knows the value of table saws would seriously consider this machine as their first choice. It is a compact machine that you can take to the site of the job. So, instead of taking the big pieces to the machine, you can transfer the machine to the location where cutting and trimming operations are to be done. The safety measure is the best feature of the DEWALT DW745. The machine consists of a dust collecting port to gather around the extra material that falls off the wood. The DEWALT DW745 has a convenient guarding system, blade guard, push stick, and miter gauge. The fence system provides 610 mm of rip capacity. The 1850 watt motor is used for enhanced power and performance. It has 24 teeth standard 30 saw blade with a Push stick and has no load speed of 3, 850 rpm. The machine is so much lightweight that it can be carried to the job location. It is an affordable piece of equipment which has salient features. The machine provides accuracy, durability, and most essential portability features. Quick bevel lock with a large scale for easy and accurate adjustments. The main drawback of this machine is that the top plate is made of plastic. A proper customer support to assemble the machine is also not provided. It is hard to choose the most suited Table saw quickly. 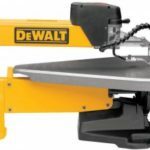 So, you can analyze the DEWALT DW745 and compare it to other table saws and then decide whether you want to use the machine or not. Although the top plate is made of plastic and is susceptible to damage it still has many other benefits to attract the customers. 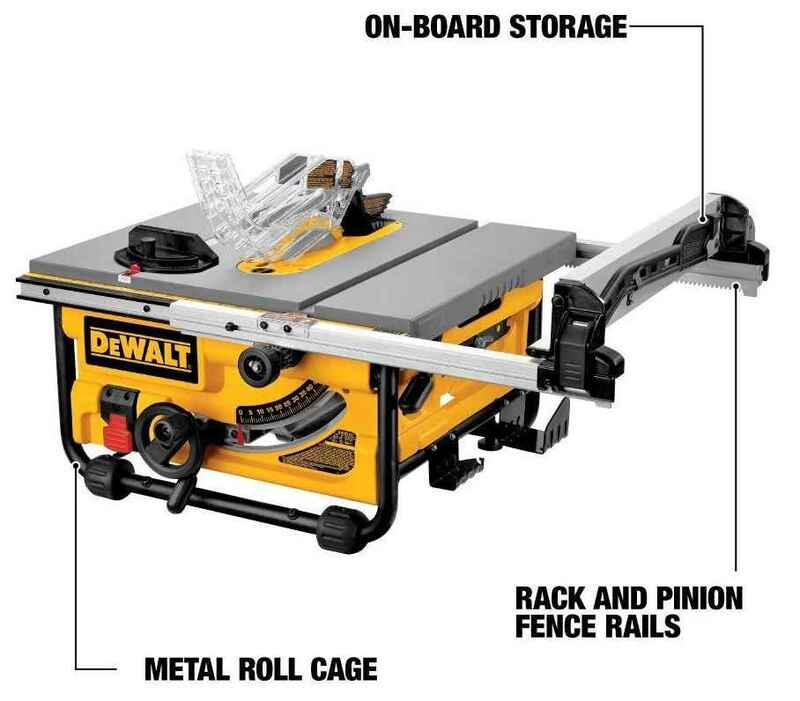 It is recommended to choose the DEWALT DWE7491RS table saw as the Best Jobsite Table Saw. The DEWALT DWE7491RS is 110 pounds machine that runs on an AC power source and the standard voltage of 120V. It has a 32 and a half inch Rip capacity that can cut through a variety of large shelves and materials. The patented support allows using this machine for narrow rip cuts also. The job site saw consist of a 15 Amp motor that cut easily rip even through the hardwood. Telescoping fence rails can extend and retract to allow the creation of small portable packages. The flip over ripping fence enables the narrow cuts. A 24-inch dust collection port is also provided with the machine. The DEWALT DWE7491RS has a rolling stand for easy setup and to provide stability to the design. The design of the DEWALT DWE7491RS is precise and accurate. It is an affordable piece of machine. Learning the use of the Jobsite table saw is quite easy. The stability features subpar with some other models of the Jobsite table saw. The safety features could have been better. To choose the Best Table Saw, there are some key points that you must consider before making a final deal. Such as where and how the Table saw will be used. If you know what you want to buy and what’s your purpose for buying the machine then it becomes easy to choose the product. What do you plan to do with the Table saw is the factor that would help you to decide which Saw you want. Whether it for your personal home improvement or for your business, you’ll find them all on Amazon. You also have to pick a category that fits your needs. The main category only involves 6 types, i.e. Contractor table saw, Cabinet table saw, Hybrid Table Saw, Portable Table saw, Jobsite table saw, Mini table saw but there also subcategories available to mix the advantages of these Table saw. You would also take into account the features that you want in your Table saw such as flat top, fence type, miter gauge, dust collection, blade factors, safety, bevel capability, etc. The final step is to research about the working of the Saw and you will know which Table saw is the most suitable machine for your work requirements. Sometimes people are confused the application of table saw and circular saw. We are living in a world which is technology driven. Hence every single thing a person wants to do can be found online. Whether it is a guide on how to make it or learning a whole new skill, everything is tech savvy. Then why not make the woodwork and home improvement tools advanced? The table saw is the most imperative tool in the woodwork. Thus you must choose the Best Contractor Table Saw for home improvement. Just because it has a contractor in its name doesn’t mean that it can only be used by Contractors. The regular people can also select this tool to customize their home in a better way. To buy a table saw you must keep certain points in mind. The entire table saw are classified according to their size, motor type, blade size, portability and some other factors. As the Best Contractor Table Saw is usually heavier, they come with an attached stand which also has wheels. The motor is of two types. The first one drives the blade without using a belt and the other one hinges off the rear part of the saw. The saw consist of a 1 to 2 hp induction motor with two belts. The machine can work easily with the standard household electrical circuits. Thus, many people get this table saw for their own hobby and interests. This saw is also called Open-Stand saw. It was basically designed to accustom the users with both basic and advanced woodwork. The table saw is portable so that it can be easily transferred from one place to another. The large size and enhanced power make the Table saw a perfect fit for big projects as they are more durable. The Best Contractor Table Saw can last longer than a Bench-top saw. A Cabinet Table Saw got its name due to the characterization of the base of this machine. The cabinet saws are mostly heavy as it consists of a large amount of cast iron and steel. The consistency of the cast iron and steel is maintained to minimize the vibration of the table saw and to increase the accuracy level. So, to identify the Best Cabinet Table Saw you don’t have to focus on the little details of the machine. You will be able to detect the quality of the Saw just by looking at it. The Cabinet Table Saw uses an induction motor with 3 to 5 HP power. It also has an additional option for the motor with 5 to 7.5 HP. Both of the motors are specific and are used in their own area of specialization. The low power motor is suitable for household use or for small wood businesses. The high power motor is for the big wood industries. Even for the household use, the Cabinet Table saw require a heavy duty electrical circuit of at least 240 volts. Hardwiring is also done for the efficiency of the machine. The motor is enclosed in the cabinet and is driven by 2 or 4 V belts. The heavy construction and low level of vibration help the machine to attain durability. A cabinet mounted trunnion that allows the height and tilt adjustment of the blade also provide better functioning to the saw. It has a common incorporation for the dust collection. The Cabinet Saw is designed to incorporate high duty cycles in commercial and industrial areas. The Cabinet Saw provides more advantages as compared to the Contractor saw and hence is more popular nowadays. There are various options available in the models of the machine. It totally depends on you that how you pick your Best Cabinet Table Saw among them. The Hybrid Table Saw as its name implies is a combination of all the benefits of the other types of the table saw. The concept of the Hybrid table saw was introduced to design a machine which will be able to compete with the High-end Contractor table saw. They offer the various advantages of Contractor saw, Cabinet Saw, and the Jobsite saw combined. But the other entire types of the saw are still in use. That’s why choosing the Best Hybrid Table Saw among the unlimited list is quite an achievement for the customers. The entire previously designed Table saw had few design flaws in them and needed improvements. So the burden fell on the Hybrid table saw to eliminate all the disadvantages of the table saw and provide a machine which is fully efficient. The cabinet of the Hybrid saw is fully enclosed from the top to the bottom of the saw. The Hybrid table saw offers both kind of trunnions, i.e. cabinet mounted and table mounted. Honestly saying, the cabinet- mounted trunnions are easier to adjust and operate as compared to the table mounted trunnions. Some of the Hybrid saw also provide a sliding table to improve the cross-cutting ability of the blade. The driving mechanism used in the Hybrid saw consist of a single V belt, multiple V-belts or a serpentine belt. The power of this saw is 1.5 to 2 HP and has an ability to run on the standard household electrical circuit, i.e. 15 to 20 Ampere and 120 Volt circuit. It is also heavier than the Contractor saw to provide more support to the machine. Thus, it has all the capabilities of the Contactor and Cabinet saw saws without any drawback thereby making it hard to choose the best Hybrid Table Saw for your needs. The Portable Table Saw is the go-to the machine to work with a large stock of wood and get longer cuts. Both of the factors conclude in the dynamic working of the Portable Table saw. It provides the capability of a big and effective table saw in a relatively compact and portable package of the table saw. The people who work as handymen, or have their own small business would supposedly need the best Portable Table Saw to get all the benefits of the saw. A Portable Table Saw provides power and precision into a single package. There are many machines present in the market which subpar with the Portable Table saw. But their weedy motors and wobbly frames results in uneven cuts. The price is one of the main reasons that make this table saw the most important one. The Portable Table Saw has more units than any other type of saw. Some of the portable saw is so stiff and rugged that they can handle harsh environmental conditions, and some of them couldn’t even handle riding a truck. 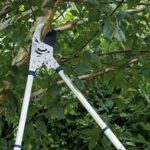 The advantages of using the portable saw are that they have a convenient stand and a folding table that makes it a perfect fit for household use. Their motor power can vary from 2 to 15 HP. This portable saw also have an active speed control which adds up to the safety features of the table saw. Unlike all the other kind of models, the portable saw regularly updates and new enhancements are made in the design. The shopping for these kinds of machines a hectic work as they are supposed to last a lifetime. Hence, you must choose the Best Portable Table Saw from the never-ending list. 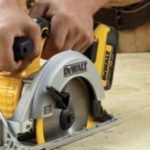 The Dewalt DW745, Bosch, and Dewalt DWE7491 are the most popular units of the portable table saw. It is the Jobsite Table Saw which is also called Benchtop table saw in some areas. This table saw are lightweight and specially designed so that they can be easily placed on a table or any other firm stand. As the name describes the Jobsite Table Saw got its name because it can be carried to the place of a job by a single person. 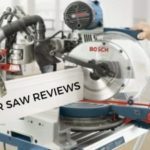 There is a list of companies that manufacture the Jobsite table saw, it is totally up to the customers how they decide to buy the Best Jobsite Table Saw. The main parts of the Jobsite table saw are usually made up of steel, aluminum, and plastic. The sleek and compact design of this saw makes it more suitable for use in different areas as compared to the other table saw. It uses a universal motor which offers relatively more power as compared to its size and weight. The top body of the table saw is narrow than the other types of the saw which means that it can provide the narrower width of the stock. It is the simple and lighter variation of the other table saw. The Best Jobsite Table Saw gives a high-end performance and at an affordable price. It is the least expensive type of table saw and its parts can also be replaced if it gets damaged due to mishandling or any other error. The users can utilize them in any possible way due to their simple design. It doesn’t even require high voltage power to operate and don’t have a need of hard wiring of the machine. Don’t let the cheap price drift you away from the machine. It can fulfill the basic household requirements with the minimum amount of efforts. It is an ideal choice for the startup businesses. Every single person who loves tools also understands that having a compact tool is more convenient. Rather than choosing a heavy body table saw, you can choose the Best Mini Table Saw. Isn’t just the Mini Saw, it is also termed as Mini and Micro Table Saw. The Mini Table Saw has sharp blades with a diameter of 4 inches or 100 mm. The Micro Table Saw has a diameter of less than 4 inches and that’s why they are called micro. These types of table saws are mainly used by the model builders and hobbyists. As the time is passing by, these tables saw are also getting popular among builders and contractors who need to trim and cut the pieces with accuracy and precision. The Mini and micro table saw as their name implies also provide precise and smart cutting of the pieces. These are so compact that it can easily be placed in any part of the house during wood cutting operations. It is so flexible that the blades used in the saw can be used for a different outlined range of cutting. 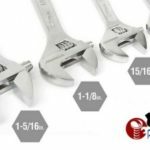 Some accessories are also provided along with the Mini and Micro table saw such as Spanner, wrench, Tipped blade, and especially a detailed operating manual. The blade guard is also advanced to offers more safety features. So, ensure that you buy a wobble free and Best Mini table saw to get amazing functions along with it. This table saw provide efficiency and ease during the cutting process and don’t even require hard wiring or any heavy duty system to operate. You will be happy to have this machine at your house as it offers additional features for the safety. The smooth and safe working of the machine makes it an ideal choice for small businesses too. The Table Saw that would be recommended by most of the people is the one whose trunnions have a minimal play; the blade has minimum runout and is also parallel to the fence and miter slots. Also, another factor that must be considered is the vibration while operating the machine. The optimized machine will produce minimum vibration allowing a better and smooth finish in the work. As there are different kinds of Table saw available in the market. Benchtop saw is light, a cabinet saw is completely safe and secure, and the contractor saw gives the precision in the work. Every type of Table saw has their own unique and specialized feature which makes them appropriate for their jobs. Even though, we will recommend you two of the best type of table saw that you can choose to have in your home and business. It is the Portable Saw and the Cabinet Saw. The portable saw makes it easy for the workmen to transfer the machine from one job site to another. The Cabinet Saw simply covers up all the components, making it more secure and reliable. The safety equipment provided in the Cabinet saw is also worth considering. Other than that, the Contractor saw can also be used if you have a woodshop and don’t need to move the machine every now and then for your work. The Table Saw is the perfect example of versatility when it comes to the different tools of the woodshop. Technically speaking, the Table Saw is the upside down version of the Circular Saw. There are different types of Table Saw as Contractor, Cabinet, Hybrid, Portable, and Mini and Micro. 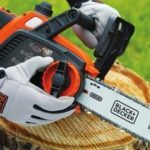 All of them have unique features that make them the right solution for different wood cutting requirements. But to operate these table saws, there are some basics that you must know. Hereon, the Basic knowledge of the Table Saw components is provided. The Table Saw now provides the easy access to the Power Switch so that it can be turned on and off easily if the condition calls for it. The Power switch is almost given at the point which is equally distant from all the points of the table. Also, the power button is large enough that it can be seen and operated with any part of the body such as fingers, legs, elbow, knees, etc. The base is the part which holds up the other working parts of the Table saw such as trunnions, sector gears, motor, arbor assembly, etc. In some types of Saw, it is called Cabinet which means that it is enclosed and extends to the bottom of the stand. Most of the Table saw have an open base and only consist of an open metal box to store the extra tools and accessories. The Table Inserts is also called Throat Plate. They are a thin metal or wood pieces which are mounted all around the blade and also leveled with the table surface. This part prevents the wood scraps and sawdust falling into the arbor. The Table Extensions are just a way of extending the length and width of the table for big sheets manipulation. The extensions can be added as per the workman requirements. A lot of the table saw comes with an extension located on the right side of the saw and allow the workmen to rip through thick, heavy and large sheets easily. The Elevation Wheel controls the depth of the Blades on which they cut through the workpiece. It is usually located right in front of the saw and used to change the height of the Blade. The Tilt wheel is located on the side to allow you to tilt the angle away from the fence. The Tilt Wheel can mainly be found on either the left or right unit depending on the location of the Arbor. The Fence guides the wood as it is cut or ripped along its length. It can be placed within the range of the Table saw. The fence rails are also attached to the front and rear edge of the saw. The fence rails keep the fence parallel to the blade plane inconsiderate of the position of the fence. It is very important to keep a check on the fence as it greatly affects the quality and accuracy of the rip made by the Blade. The Miter Gauge and slot system allow cross-cutting of the workpiece. The Miter gauge is a cast metal protractor attached to the length of the bar. Corresponding to the bar, there goes the Miter Slot system. They are mainly used to set the angle of the cross cuts. Another feature available with the Miter Gauge is the Crosscutting sled. It is available in some specific type of Table Saw. The Dust Collection system is the component of the part where the sawdust is collected. The sawdust can make the job really difficult so, most of the Table Saw comes with an inbuilt Dust Collection system which can further be connected to vacuum to clean up the Saw. With the help of this component, you will be able to collect the dust even from the “Tidy” places. In the top models of the Table Saw, you will find induction type motor with a power of 1 to 5 HP. Some of the Table Saw uses the Totally Enclosed Fan Cooled (TEFC) Induction motor because it is sealed properly. The sealed body prevents the dust and scraps from getting inside the motor and damaging it. The Arbor Assembly is the component used for raising and lowering the height of the blade. It is the Arbor shaft that holds the blade. The Diameter of the arbor depends upon the size of the Blade. The larger the Blade, the size of the Arbor will also be greater. Another handy and most basic component of the Table Saw is the Accessory storage box. All the Table saw come with an onboard space for storage of tools and accessories that are required by the workmen. The most popular Table Saws have so much space that they can even store miter gauges, blades, fences, and other stuff too. These are the most basic parts/components of the Table Saw that is essential. The installation process of the various table saw is almost the same. Now, that you’ve got a new table saw, it is time that you set it up for use. Putting together a table saw is not an easy process as one had to be careful and follow precise guidelines to assemble all the parts of the Table saw. But at first, you must decide where you want to keep the Table saw in your house. It is better if you choose a place which is open and wide and had a lower risk of damage. You have to make sure that all the important, small and big pieces that must be installed in the table saw are present. The main step is to mount your saw on the stand so that you won’t experience much trouble while putting all the parts together. As the stand doesn’t always come along with the table saw, users might have to buy it independently. Once you have your stand, lock the body of the saw with the stand and secure it. If the throat plate is mounted in the saw then you must remove it to start the blade installation process. The riving knife will also be installed inside the same area. To remove the throat plate, the place your finger in the hole and push it against the tab and it will come out. Now, it is time to install the blade in the Table Saw. At first, raise the blade all the way up to its exact location. 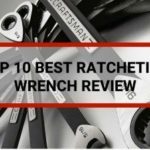 You have to use a blade wrench to place the nut into its place. Firstly remove the nut form the saw and then take the blade. Pass the nut form the blade and then turn it in the clockwise direction. If you have a doubt regarding the direction, then remember you have to tighten up the blade in the similar direction of the Riving knife. While turning the nut, engage the arbor lock that prevents it from spinning. The nut will be loosened up and you can now remove it by hand. The removal and attaching process are the same for Blade. The Riving Knife is placed behind the Blade and is kept locked. You can loosen up the knife by releasing the lever. You can also make adjustments if you like before you add the Blade guard and anti-kickback device. Now, it is time that you mount the Anti-Kickback device in your Table Saw. It gets attached to the top notch of the riving knife. You can identify the place as the end spot of the blade guard. The teeth of the device should point away from the blade and towards the direction of the Saw. The Blade Guard fits into the place onto the top of the riving knife. The guard is also locked into its place similar to the Anti-Kickback device. Place the curved end of the blade guard on the surface of the table saw. You have to ensure that none of the guards is touching the blade. As you have installed all the important components of the saw including the blade, riving knife, safety guard, you can now place the throat plate back by snapping it. Now, locate the fence of the Table saw which must be present underneath the saw. The fence is easy to detect and has a slider to get it out smoothly. Guide the saw fence into the front and back track of the saw. Make sure that you do it without exerting much pressure. The fence will show a little resistance in the start but it will slide in within a few attempts. Open up the Manufacturer’s guide to following the instruction to carry out the squaring process. You must use a framing square so that the table saw cuts accurately. All there is left to do is the “Ripping”. Take your Eye and Ear protection gear and start cutting whatever you want. You can also refer to the Manufacturer manual for the assembly process. Although there are different types of Table Saw, the methods of use are almost the same for all. In the further description, the manual of how to use a Table saw is provided which can be used as a universal guide. 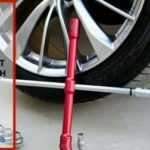 Some key points that must be remembered before starting this guide are that you have basic knowledge of the tools. Otherwise, ask someone to supervise to walk you through the guide. The foremost step is to read the safety warning and precautions carefully. Table saw is not a simple tool for kids. It is a high power machine which can cause serious damage. So before you injure yourself while cutting a simple piece of wood, you must pay attention to all the measures provided. Keep your mind conscious and don’t feel nervous while using it because you lack skills might become the reason for some serious mishap. Fence: This is the long safety equipment around the blade at a constant distance to protect the user from injuries. Fence Dog: This is the area where the fence fits in. You must lock the fence firmly into the area to protect yourself from any potential risk. Blade: The Blade is the cutting tool. There are several components of the Blade such as the part where the blade is inserted, the blade height adjustment lever, and the blade angle adjustment lever. Power Button: The machine has a hinged push and pulls the button to switch it and turn it off. Cross Cut: A crosscut is a cut across the grain or towards a narrower end of the board. The crosscut is accomplished by using the Miter Gauge or sled. Ripping Cut: This cut goes down towards the length of the board. The fence set is used as the guide to adjust the width of the material. Dado Cut: A wide or trench cut is called a Dado cut. It is most commonly used in the jointery and can be done by using the Miter Gauge or fence. There are also some special blades available that would make this cut more accurately and quickly. The height of the blade must be set slightly higher than the top of the material to avoid any deep cut. The height determines the safety measures of the blade and hence avoids the tearing of any part of the body. But you have to ensure that the blade is on the right height otherwise you will struggle while cutting down wood or any other workpiece. The Table saw can make angled cut in two ways. The first cut is relative to the blade plane and is performed by setting up a Miter gauge. You only have to set the cut angle on the miter gauge and then proceed to cut the piece. The second angle cut is relative to the table plane. This cut is done by adjusting the blade or precisely speaking by tilting the blade over. You will find the wheel that can change the angle of the blade on the side of the machine. It will also have a reference indicator. If you still can’t find it then look behind the height adjustment wheel. The users can also opt out to use a protractor and bevel gauge to check the angle of the blade. That is, table saw always provides massive cutting function but scroll saw is considered for curvature with artistics cutting function. As the fence is used to cut the pieces of wood accurately in width and length, it is important that you learn how to adjust the fence properly. The fence is operated by a dog or lever. To adjust the width of cut, you have to lift the lever and fence simultaneously. Make a slight change and measure the distance. The arch reactors fence is used in most of the table saw and it has an unusual quark in it. If it goes all the way up then its position become very unsquare with respect to the blade. Lowering down the lever is the partial solution to this quark. So, the fence must be located in the approximate location where it stays intact but doesn’t mess up with the cutting operation. The Arch reactors have 3 different types of blades and inserts. The standard insert is like the default system for the blade insertion. It comes with the saw and can be used for cutting and ripping. It is most suited for the lowered blade angle cut. The second one is the zero clearance insert and is used for the vertical cross cuts and the ripping cuts. It is appropriate for thin cuts. It can’t be used for the cuts which require a change in the angle of the blade. The final insert is the Wide Gap model. It is used with the Dado blades and enables the trench cuts. To change the inserts, you have to lift the front portion of the machine where a hole is present. Push down in the back to shake the front part and you will find a tab which is tucked in the table. Now, to change the blades, firstly raise the height of the blade and remove the insert. Take a piece of scrap and hold it against the blade’s teeth. Now grab a wrench from the toolbox and loose down the arbor nut by rotating it in the counterclockwise direction. The scrap that you held against the blade will now bite into it and prevent the blade from spinning. Now, get the nut out and place the new blade. Tighten up the nut and make sure that it is in the right position. Switch the saw on and it will automatically tighten up the nut. At first, you are going to learn how to make a cross cut. Grab the appropriate tool for measurements. It is important that you set the cut length with a measuring tool and mark a line. Set the height of the blade up to the mark and line up the blade. Now, turn the machine on and firmly hold the piece to the miter gauge. Gradually move the piece towards the blade and it will cut down the piece. Now, turn the machine off. To make a ripping cut, you have to adjust the fence along with the blade height as above and then turn on the machine. Place the board against the fence and then apply enough force to hold the board against the fence. An excess amount of force can lead to the bounce back of the scrap pieces and it can seriously hurt you. With a slow and smooth movement, pass the wood piece through and past the blade. Turn off the machine and remove a scrap of the wood safely. Don’t worry; you won’t have to go through a big and long maintenance instruction journal. The table saw only requires very little maintenance. Habits like checking the drive belt time to time, test out the teeth of the blades, etc. can be of very much help to maintain the working of the machine. Some wear on the belt or missing teeth doesn’t mean that the table saw is unsafe for use. You have to worry when lots of teeth are missing. And finally, you have to clean the table saw more frequently to avoid rusting of the metal. Similar to every single machine, the periodic maintenance of the Table Saw is also essential. To keep the Table saw in good working condition and make it safe for the use you would have to clear it every now and then. The buildup dust, residue over time, and the wood scraps affect the working of the table. Clean the sawdust from all the various parts of the machine including adjustment controls, saw cabinet, and the gears and motor. You can use a stiff brush or a shop vacuum to get the dust off. Use lubrication frequently in the gears and pivot points. You can opt for drying spray lubricant to keep the parts running smoothly. Use a gum remover to clean the cutting blades. To obtain cleaner and accurate cuts, it is important that you clean the blades with a pitch. It will reduce the feed pressure and risk of kickback. The tabletop must also be cleaned regularly. You can use steel wool to get off the resin and gum buildup. Polishing the table top, front fence and the rip fence is also important. Select the best quality paste or automotive wax for this purpose. Using a mild dishwashing detergent along with warm water will also clean up the table saw pretty good. Remember not to use any harsh chemical or solvent that could damage the table saw. Check the blade’s tilt and raising mechanism for loose ends. Observe if there is any unusual movement in the motor mounting mechanism. Also, check the alignment of the motor and the arbor pulleys. Make a visual inspection to look for sign or tear and damage. The throat plate and the table extensions must be flushed with the table top, miter gauge, blade and the rip fence. Also, inspect that the blade guard is working accurately and the anti-kickback system is also running up. Check if the kerf splitter is in line with the table saw blade. Doing a proper inspection and check will help you to find the issue as soon as possible. This will ensure that you fix the issues right away to avoid the risk of further damage. The blade is the component of the Table saw that must be chosen wisely. Did you ever wonder if you are using the right blade for the operation? As there are enormous options for blades, picking the right one is always a challenge. Choosing the blade for your particular needs is very important. And the plus point is you don’t have to cut out your budget or make an adjustment in it because you can buy these blades at an easy price. There are four types of blades categorized according to their attributes. These are Flat-Top Grind (FTG), Alternate Top Bevel (ATB), Combination (ATBR), and Triple-Chip Grind (TCG). You have certain choices when it comes to the different blade operation. Based on what’s the blade is meant for you can select the blades. While ripping, you will need a 24-Tooth FTG blade because it has the ability to cut through thick and hardwoods. As the name suggests the blades rips apart the piece of wood roughly. The cut won’t be smooth and you will have to saw the final dimensions later on. The Cross-cut blades employ the ATB teeth to minimize the tear out. More teeth mean clean cutting. That’s why the cross-cutting blades usually have 60 to 100 ATB teeth. Such blades can excel the cutting operation and gives a clean and precise crosscut. Along with this, you can also choose 40 to 50- Tooth combination blades for this type of cut. It is like the almost solution for this cut. The ATB blade will also save you the trouble of changing the blade from rip to cross cut again and again. The Sheet Goods includes plywood, melamine, MDF, hardboard, particle board, and plastic laminate. A fine quality all purposes blade will do the job but it’s best if you use ATB blade. The same more teeth better-cut concept applies to the condition. An 80- tooth blade will particularly cut the delicate sheet goods properly. Changing the blades of a Table Saw is a complex and delicate process. so, you have to be very careful and use precaution to avoid any potential injury. Make sure before you start the process you cut out the power supply of the machine to avoid any risk of injuries during the process. Locate the blade plate. Most probably you will find the blade plate on the top of the table saw. When you find it, loosen up the screws and remove them to get the plate out. Before you go further, place a piece of wood in front of the blade to prevent it from moving forward. Now, hold the blade to its highest position and remove the nut from the arbor. The blade will be free and you can keep it aside. Place the blade in the position where its teeth are in front of the table saw and put the nut back into its place and tighten it by using a wrench. Now, use the screwdriver to reinstall the blade plate and tighten up the screws. Connect the power back to the Table saw and you are ready to use your Table saw with a new blade. Unplug the power cord to shut off the supply. Raise the blade to a proper height and push the button on the blade guard and take off the blade guard assembly. Loosen up the Bevel lock, set up the angle to 90ᵒ and then tighten up the lock handle. Make a mark on the right side of the blade tooth and rotate it thereby adjusting it to the height of ½ inch above the saw. Now, set up the combination square on the right side of miter gauge groove. To adjust the combination square, make sure that the marked blade tooth touches the ruler tip and then lock the ruler. To check the alignment of the blade, rotate the blade to bring it to the marked tooth. Place it half an inch above at the rear of the blade. To determine the direction and degree of misalignment of the blade, slide the combination square to the rear of the blade. If the blade is partially on the left side, the right adjustment screw will be turned counterclockwise and the left adjustment in the clockwise direction to align the blade. You can recheck the blades if they are properly adjusted or not. After making sure that the blade is parallel, reinstall the Blade guard assembly. Thus, you have adjusted your blade; you can now release the red button of the blade guard assembly. You can now restore the power by plugging the power cord into the socket. You must also check again if you have adjusted the blade in the right position. Use it on a piece of wood and see if your hard work paid off or not. If you are using a table saw in your home or business, then there is a list of must-have tools that you can own to properly use the Table saw. 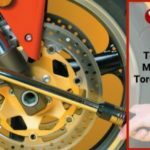 A list of tools and accessories are required for Installation, Maintenance, Blade Changing, and also the Repair work. The Plywood Base widens up the base and makes it more stable. The plus point of having the Plywood base is that you can screw them to sawhorses, Benchtop, and any other place you want. The Cutoff a block or so-called Clamped block allows making repetitive crosscuts without the risk of kickback. It is typically used for Duplicate lengths. The Outfeed jig is used to provide additional safety to the sheet goods. It holds up the workpiece in the exact position as the piece is being machined by the table saw. You can build the Outfeed jig at home and can screw it to the Plywood base for better stability. The Rip fence is needed to have a fine tuning adjustment which runs parallel to the blade. They have an adjustment knob on each end to maintain the position of the lumber during the cutting process. The carriage board is used when the workmen have to make a straight edge cut on any board. The crooked board is placed to a slightly larger carriage board and then the whole assembly runs across the table saw. You can also join the boards with screws. The workbench is the part on which the practical woodwork is done. So, it is necessary that you always keep an extra workbench in case the already in use workbench gets damaged. It is used to make the woodwork easy, safe and more accurate. The Tenon jig holds the part of the work upright and secured. The thing about this tool is that it can be made at home also. A circular saw is a handheld the form of the table saw. Every workman always keeps a circular saw to get to the ends of the workpiece. It can be used to work on wood, masonry, plastic, and metal. The feather board is used to achieve smooth and quality cuts. You can find different kind of feather boards with all the saw and cutting surfaces to drive the material towards the cutting edge. You also make these boards at home similarly to Tenon jig and Outfeed jig. The additional hand tools required for the table saw operation, installation, blade changing and other has a very big list. You must have a claw hammer, tape measure, screwdriver, level, nail set, sliding bevel, layout square, block plane, caliper, and most importantly a complete tool storage system. You can also keep a power drill, a shop-vacuum, bench grinder, the Sabre saw, palm sander, miter gauge, and the Jig and Dado. You can also add some optional tool in the list which has some use in the table saw. Reading the Instruction manual is the first key point in the safety measures. Don’t even touch the machine before you’ve read the instruction and guide of the Table Saw. Every single table saw have its own construction manual that people must read to familiarize themselves with the machine. It is a mandatory requirement to wear the proper gears while operating the table saw. The woodworker must wear safety glasses, hearing aids, and safety clothing. The users must also avoid wearing jewelry, neckties, and loose fitting clothes to avoid the hazards during the use of Table saw. Cleaning is a must for every single tool. Hence, the table saw must be cleaned properly after every operation you perform on it. The scraps lying around the table saw can get stuck into the different parts of the saw and lead to various faults. Whether it is sawdust or a scrap, it can bounce back and hurt the workmen seriously. When you are done using the table saw, remember to turn it off. In case you leave it on, it will still consume power. The main danger that it poses is that if you leave it on and forget that for the next time you wish to use it, you might get hurt accidentally. Changing blades is always a very subtle task. So, remember that while changing the blades, you turn off the power. Also, you must keep the nuts of the blades in proper place because losing it will surely cause you some distress. The switching off of the power button will ensure that you don’t inadvertently turn the blade on during mid-process. While cutting down the pieces, you must precisely know how you want to cut them and use the appropriate blade for the process. Another factor that concludes in the safety measures is the sharpness of the blades. Regular use of the blades also degrades the quality of the blades. Compromising with the quality of the blades can be a real menace and often cause dangerous injuries. That’s why it is recommended that you keep the blades sharp. When using the Table saw, a single moment of inattention or a simple slip of hand can have dreadful consequences. That’s the main reason push sticks are designed for. Even if you are handy and skilled workmen, you must also keep a push stick in hand to push the scraps away from the blade and avoid any probable chance of injury. The push sticks can be bought from any store easily and they don’t even cost that much. Most of the Table Saw comes with inbuilt Blade guards to provide additional safety to the users while the machine is not in use. The Guard and Splitters will provide you with the necessary insurance from a serious accident. The Splitters have a special function of preventing the kickback from happening. So, make sure that your table saw has both of this equipment. And if it doesn’t have safety instruments, then you can buy your own instruments. Cords should always be placed in such a way that it won’t affect the workmen or the machine. 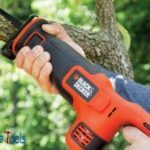 And it is essential that you keep all your tools away from the cords to avoid the disconnection or any unwanted cuts in the cord. Also keep the cord secured from water, heat, oil and sharp objects. In case a tool is damaged, or any component of the table saw is damaged then avoid using it and get it repaired as soon as possible. If you continue using the damaged parts you are only increasing the risk of hurting yourself. A proper check must be done of each and every aspect of the machine to see if there is an issue with an intended function or operation. You can either fix the damage yourself or call a professional to help you out. Make sure that you don’t force a tool which is designed for other operations in some other areas. Using the right tool for the job is a fact that must be kept in mind. The wrong choice of tool for a job would result in damaging both the tool and that particular component. For example, never use a circular saw to cut tree limbs or logs. Also, remember to put the accessories that came with the table saw in a safe and secure place where kids won’t have access. Thereby, you simply eradicate a big risk that these tools can do to humans. Even if you have been using all the different types of table saw for a very long time, you should never stop the learning process. Keep learning is the way that would help you to perform every single job with expertise and precision. It is better to implore the methods that are newly introduced in the table saw and use it in the right stance. Remember that whether it is the accessory, attachment, the inbuilt components or the table saw itself, safety comes first. All the parts of the table saw pose a higher risk of personal injury but it is totally up to you that to what extent you take the safety precaution seriously. Every single type of table saw is specialized in their specific functionalities. They are made to fulfill all the needs and requirements of the woodworker. Choosing the Best Table Saw is a decision that is made only after analyzing significant factors. The factors include your cutting requirements, storage space, the quality of the table saw, etc. For example, if you are a contractor and looking for a top quality cabinet saw, then you would have to check the fence system, ground cast iron top, extension wings and some other factors. All the saws are built with different qualities and used for certain features. The standard quality of the components, width, and carriage, the finish of the saw, or any factor that concludes in the quality of the table saw must be considered by the buyer. 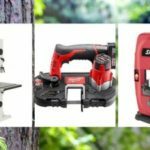 Whether you want a Contractor, Cabinet, Benchtop, Portable, Hybrid, or the Mini and Micro Table saw, you can buy them all from Amazon. All the top models of the table saw are present on the website with the best prices. Some machines are even available at valuable discounts and additional offers to give certain advantages to the users. Visit the website, check the product specification that meets your needs and buys it with the simple and easy process. Question 1. Which Electrical circuit optimal for Table Saw? Answer: The different kind of table saw have different requirements for electrical circuits. Most of the table saw works with 15 to 20 Amp time delay fuse with the best quality copper wire. You can check the user manual to see the exact electric circuit requirements of your Table Saw. Question 2. Can I take the Table Saw off from the table stand? Answer: Yes, you are completely free to take the stand off from the saw. The mounting of the Table Saw can be done on any surface. But remember that you mount the table saw on a surface which is capable of withholding its weight and working. If you place the Table Saw on some weak surface, the machine will fall off and will get damaged. Also, keep another point in mind that the surface has at least an 11-inch gap that will allow the sawdust to get through the machine. Question 3. Must the wires be grounded for the safety while working? Answer: No, it is not a must that you ground all the wires of the Table saw. As long as the wires are not getting in the way of the efficient working of the table saw, you are safe. Question 4. Can I injure myself while using Table Saw? Answer: There are very high chances of getting injured while using the Table Saw if you are not careful enough. Many cases of severe injuries and permanent impairment have been reported due to the negligence of safety precaution. Question 5. What is Blade Guard and its use? Answer: The Blade guard is the most important safety feature of the Table saw. It keeps your fingers and hands safe from the sharp blade. The Blade Guard covers up the blade area to prevent the risk of potential injuries. Question 6. 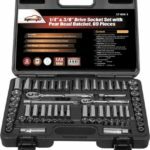 Will I get some additional tools with the Table Saw? Answer: Yes, many of the Table Saw comes with multiple tools and accessories that are used in the woodwork. 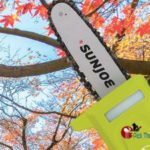 7 Features Of Pole Saw That Make Everyone Love It.